Actress Manisha Koirala Posts A Photo Of Herself And Actress Nargis Dutt, And We Bet You Will Fail To Spot A Difference: Actress Manisha Koirala, who is portraying the role of actress Nargis Dutt in the upcoming Sanjay Dutt biopic film Sanju, recently posted a picture of actress Nargis Dutt and herself dressed as Nargis on her Instagram handle and you will have to look at it twice to find a difference. Prior to this, actress Manisha had posted the another photograph similar to this one. Take a look at it. 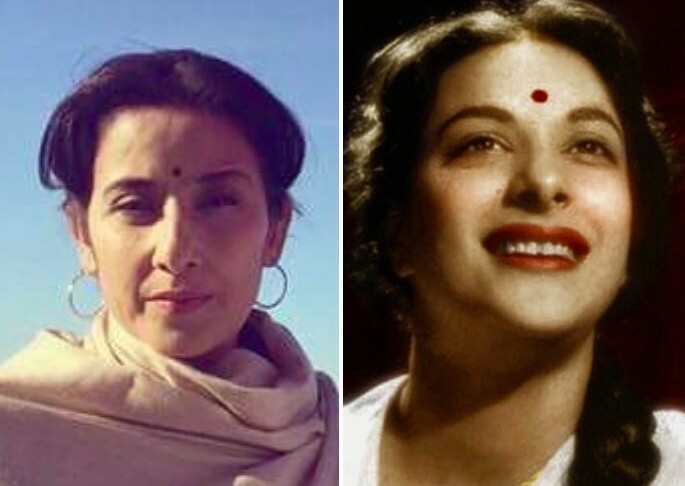 So, these are the points to describe on the Actress Manisha Koirala posts a photo of herself and actress Nargis Dutt, and we bet you will fail to spot a difference.